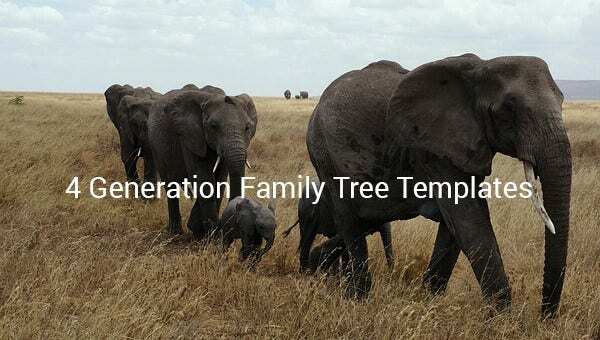 4 Generation Family Tree Template – 12+ Free Sample, Example, Format Download! 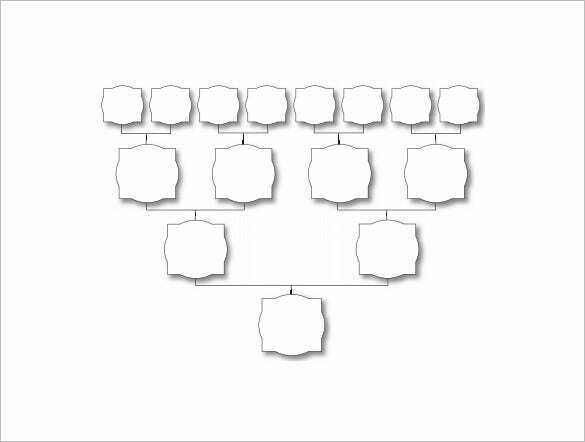 A 4 generation family tree is a competent tool for building a family tree by age group. 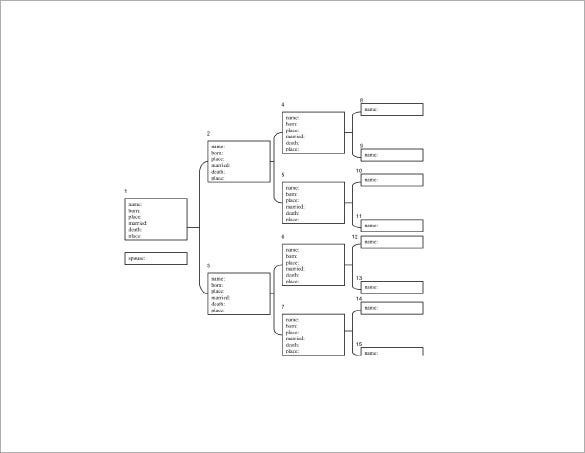 The template which is known as Family Tree Chart Templates provides different layouts and formats of the family tree generation type examples. It will start from the parents of your grandparents, grandparents, parents and children. 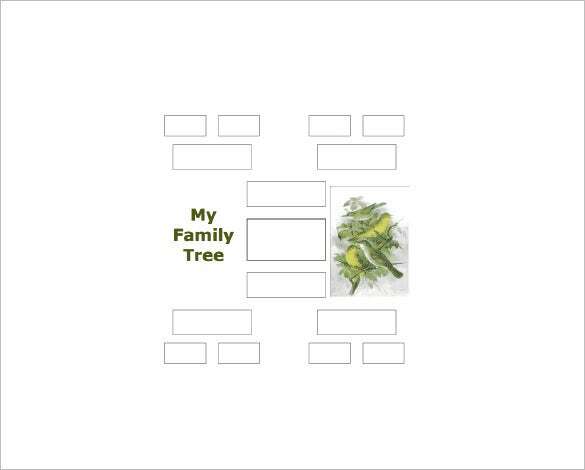 This is placed in Microsoft Word for better understanding of the family tree generation. 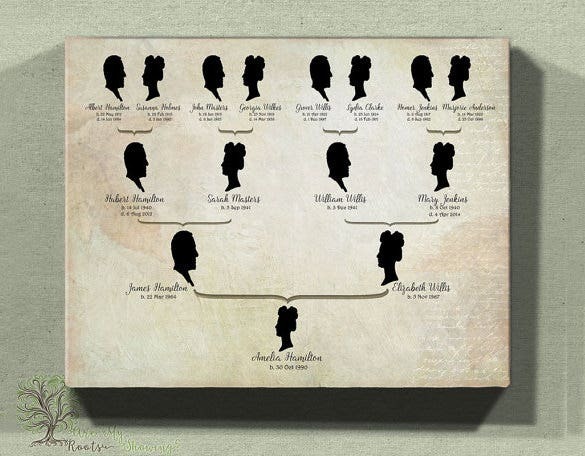 If you are looking to create a 4 generation family tree chart, this simple family tree template would be handy for you. The text boxes are spacious enough to enter the names of family members comfortably. 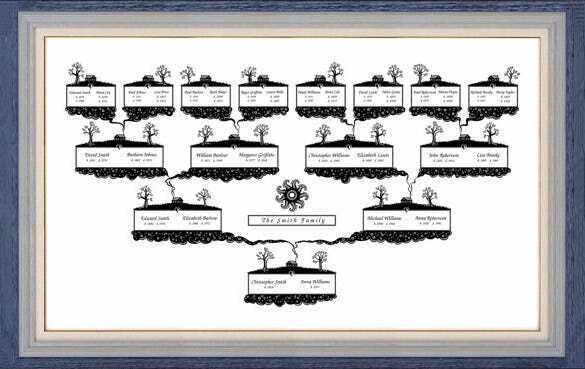 This 4 generation family tree chart speaks of class with its elegant illustration. You can include up to 15 family members here the chart lets you mention the birth and death anniversary of all members. 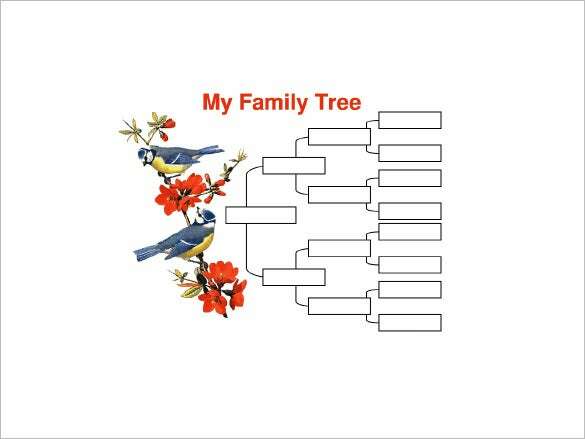 This simple 4 generation family tree chart looks cute with those little birds at the start of the tree. You can include the name of the child, his parents, grandparents on both sides and great grandparents on 4 sides. 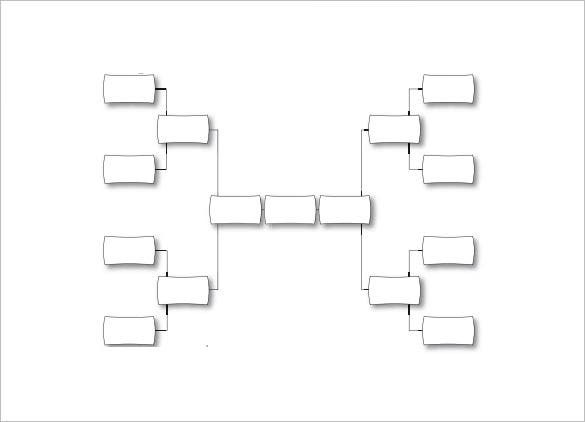 This 4 generation family tree starts with the parents of the child and goes on to include their parents and their grandparents on both the sides of the parents. The whole illustration of trees and roots connecting the boxes seem unique. 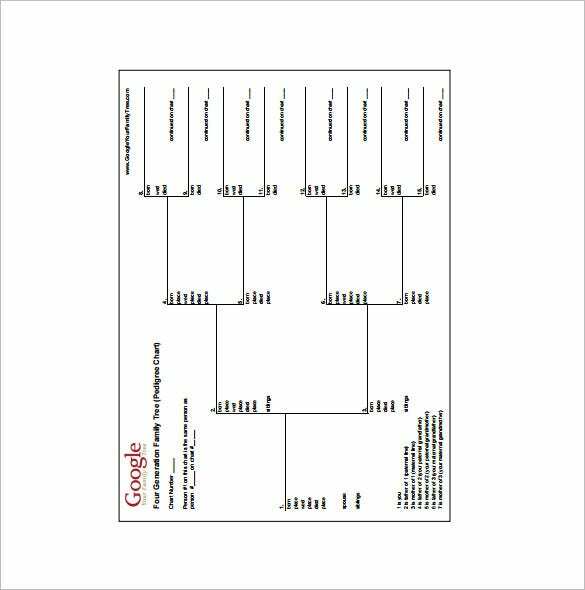 This family tree template comes with 2 sets of 4 generation family trees. 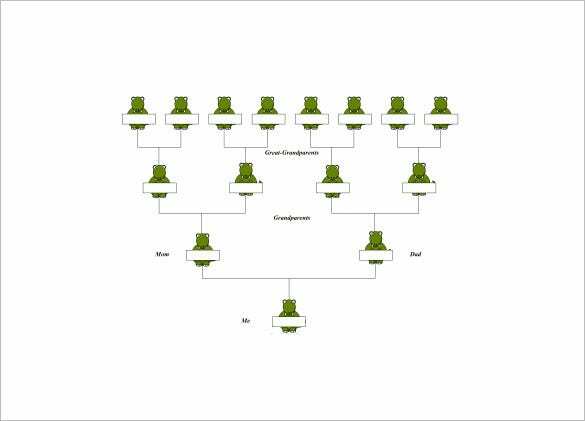 In both the cases you have the tree divided into two parts to trace the lineage of mother and father of the child separately. 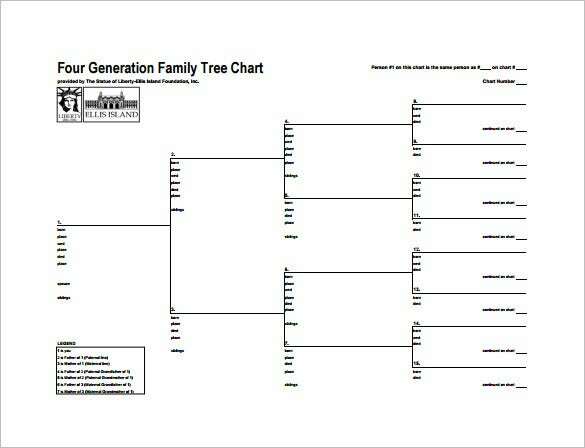 You are getting a simple and standard 4 generation family tree chart here. It not only allows you to include up till all the great grandparents but you can also include the places of their birth, death and marital status. 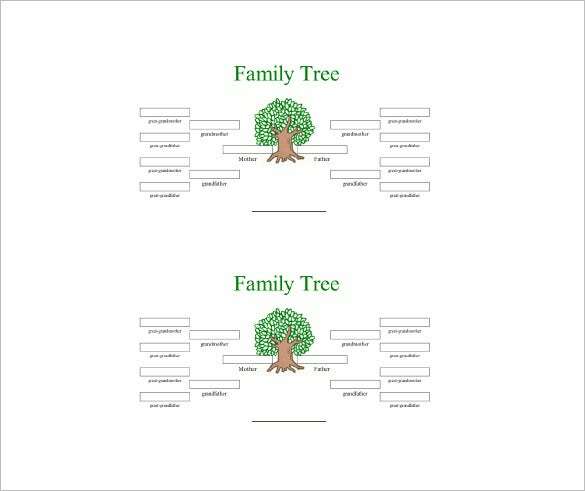 The examples for generation family tree are free to download and it is manageable right away to formulate a suitable family tree of your choice. 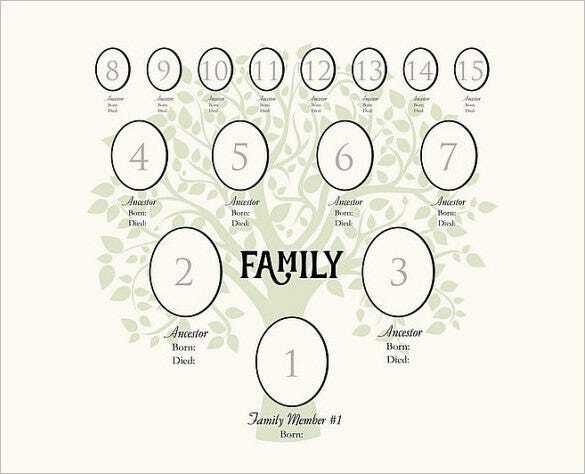 These Example Family Tree Templates can be used for personal editing to put on your personal details about your family or make use of it as a guide for creating a concept similar to these examples.